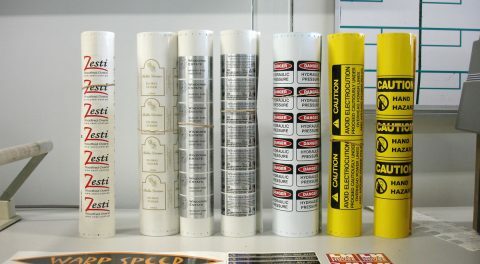 Stickers and decals: they’re something we use just about every day, but they vary so much, there is no such thing as a standard size. 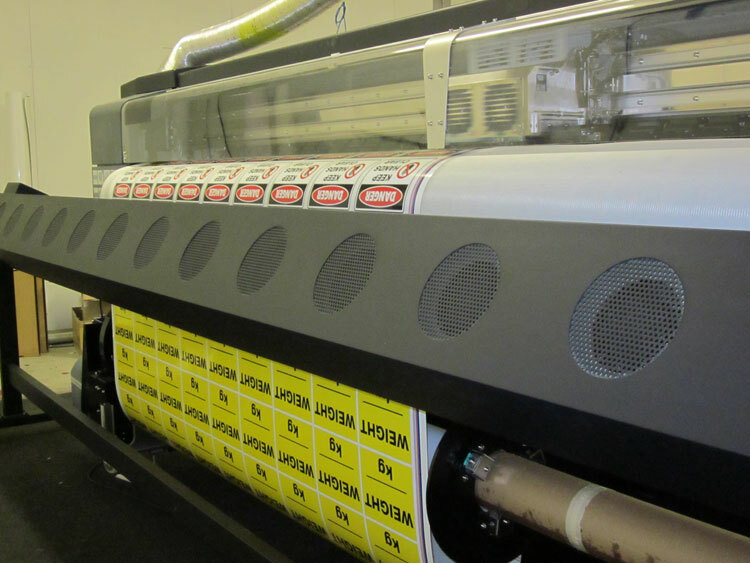 That’s why Perth Graphics Centre is WA’s leading producer of stickers – we know exactly how to achieve the desired result. 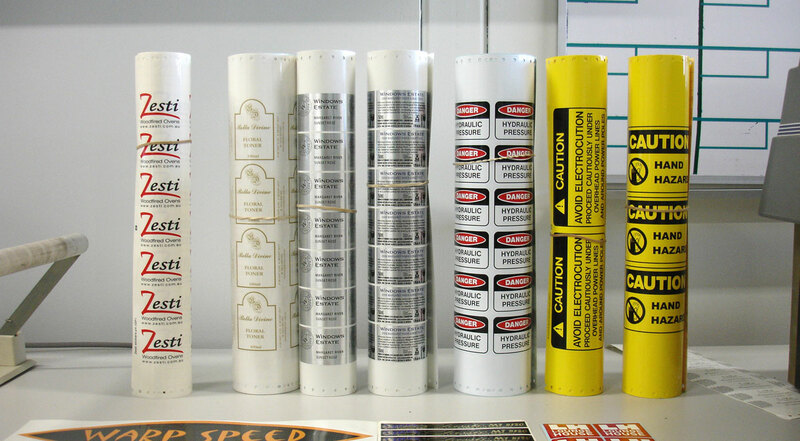 If you’re after product labels, security stickers, reflective stickers, pipe markers or any other specialty sticker or decal, then we’re able to help. With our vast product range and years of experience, creating the right sticker for your needs is our specialty. We also specialise in short run stickers, so no matter whether it’s a one off, or you need thousands, we can help. Ask us for a quote by heading to our contact page and emailing us. 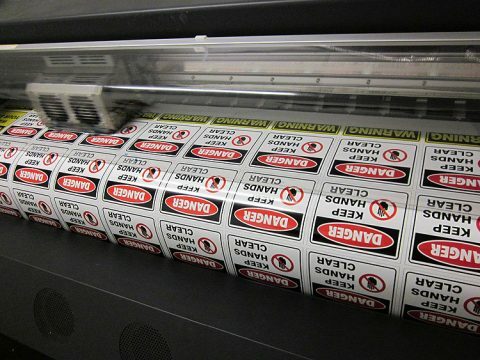 Need a custom label or a short run of stickers? Perth Graphics Centre can help. With our digital process, you can get up to three years outdoor durability, or indefinite life indoors. 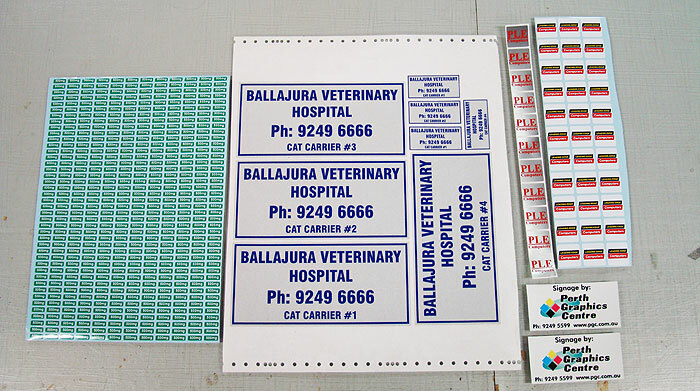 Stickers can be cut to just about any shape, can be in a myriad of colours and sizes – just ask. Speak to our friendly staff about creating a custom design, or bring your own. We can print on chrome, gold, holographic materials, as well as plain colours such as white, black, red, yellow, blue, etc. Fades and blends are also possible. 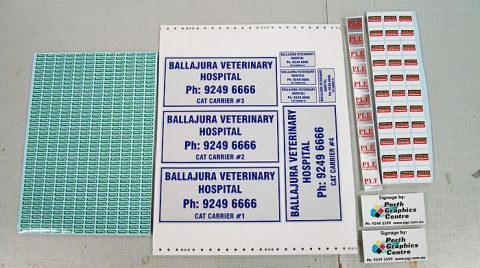 We can run a sample sticker for a small charge as well. Almost anything is possible. Give Perth Graphics Centre a call on (08) 9248 6226 and see how we can make your life easier.